This cake is gluten free and has a lot less sugar than traditional cakes. The lemon drizzle makes it delightfully tangy. I love to serve it warm. Place lemon juice and maple syrup in a bowl and mix to combine. 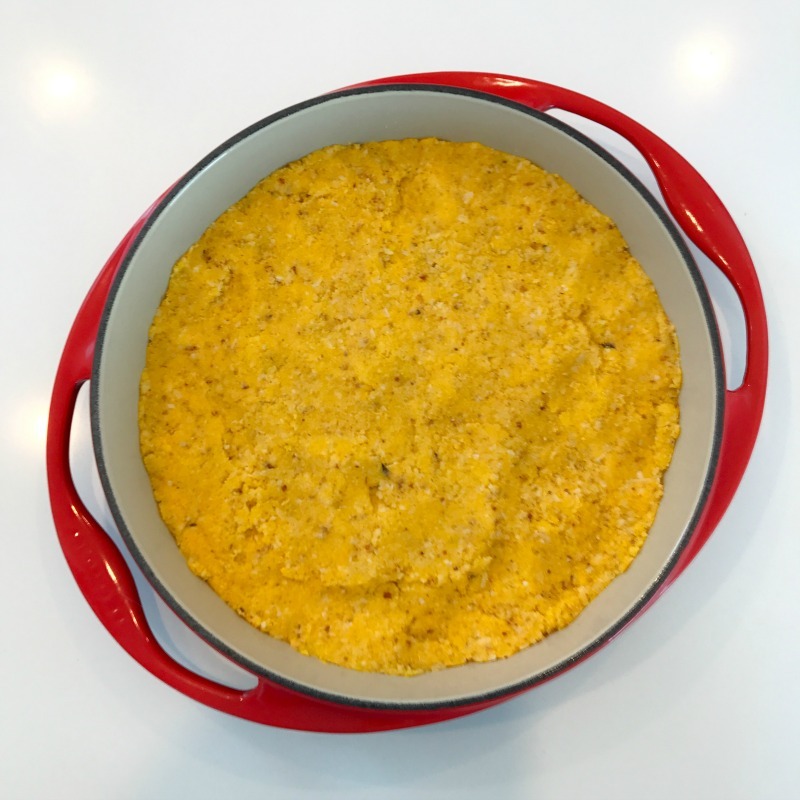 Bake in pre-heated oven (180 degrees) for 20 minutes, or until cornbread is cooked through. The cooking time will vary depending on your oven and what cake pan you use. Place a skewer or knife into the centre of the loaf. It is cooked through when skewer/knife comes out clean. 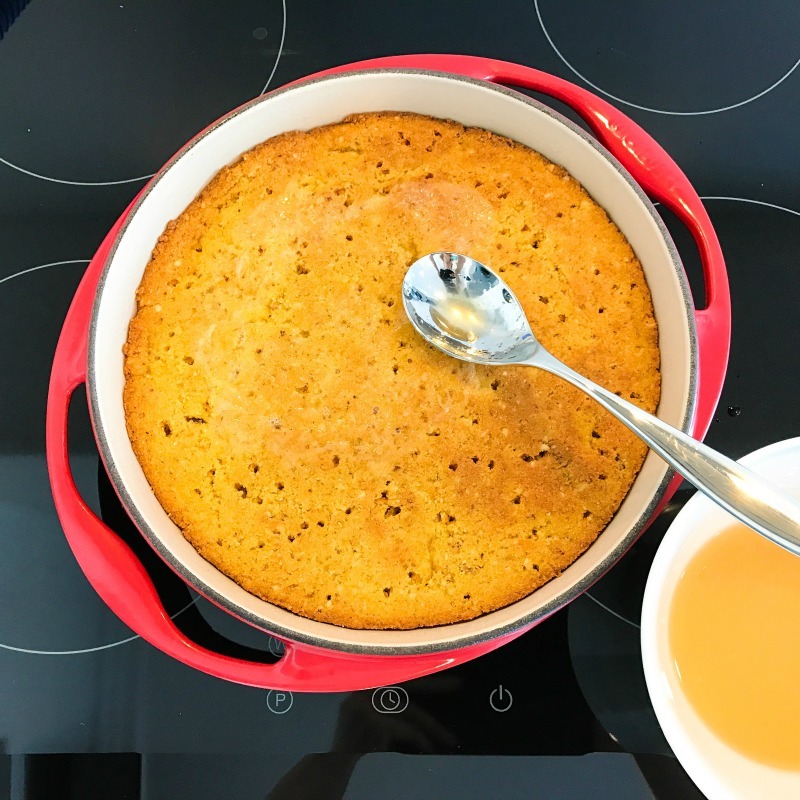 When cake is cooked, remove from oven and whilst still in the cake pan, make multiple holes in the cake using a skewer and spoon Lemon Drizzle over cake, making sure you get an even coverage. Allow to cool in the cake pan for 20 minutes and then turn cake out onto a serving plate. If you are going to serve this cake warm, one drizzle is enough. But if you are going to serve it more than an hour after it has cooled down, or the following day, give it a second drizzle (Juice of 1 lemon plus 2 level tablespoons of maple syrup) 20 minutes before serving. Trust me, the second drizzle makes all the difference!